Rabbi Riccardo Di Segni welcomes the upcoming visit of Pope Benedict XVI to Rome’s main synagogue as a sign of the commitment of Jews and Catholics to respectful dialogue. He does admit, however, that there is a storm every now and then. These storms are things such as the Holocaust-denial of Bishop Williamson, or the veneration of Pope Pius XII, but the key problem, according to Rabbi Di Segni, are the mixed signals about the religious significance of Judaism he preceives from the Church. These mixed signals are the insistence on the ongoing role of the Jewish people in salvation history, while also emphasising the importance of recognition of the Messiah. But the rabbi says that the gestures of this pope and his predecessor have been vital for the mutual respect between Jews and Catholics. “We experience this each day, even though there may be scattered pockets of resistance or fundamentalist attitudes or even hostility”. About the upcoming visit, he said that it is “a symbolic continuation of the gesture made by John Paul II, who was the first pope to set foot in a synagogue in 19 centuries. There is precedence, though.” The precedence being St. Peter, obviously not unfamiliar with synagogues. While the obstacles are acknowledged, I get the impression that this visit will not be as problem-ridden as some people feared earlier. Msgr. Léonard new archbishop of Brussels? Various Catholic news sites bring the news from Andrea Tornielli that Rome will announce the new archbishop of Mechlin-Brussels within the next few days. 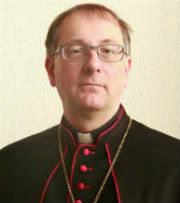 And it will be André-Mutien Léonard, currently bishop of Namur. 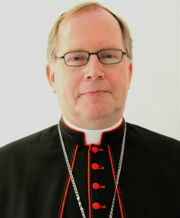 If true it would bode very well for the Church in Belgium. Msgr. 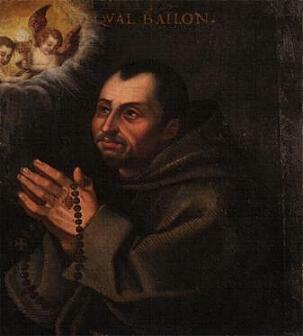 Léonard is an orthodox and practical man, firmly in line with Rome. The only slightly problematic thing would be his age: he is 69 years old, and will tender his resignation in six years. 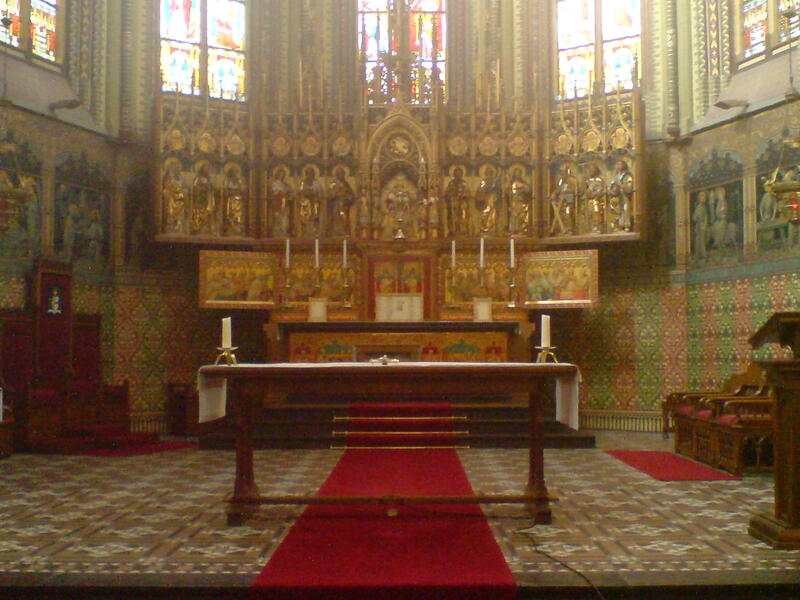 That would perhaps not be long enough to have the truly significant impact that the Belgian Church needs. We’ll see, though. It sounds like good news, but it is still a rumour. 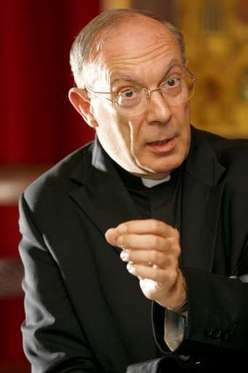 Posted on January 13, 2010 January 20, 2010 Categories World ChurchTags andrea tornielli, archdiocese of mechlin-brussels, bishop andré-mutien léonard, mediaLeave a comment on Msgr. Léonard new archbishop of Brussels? Yesterday I received a request from Father Roderick, a friend and priest in the Archdiocese of Utrecht, to show some support for his archbishop, Msgr. 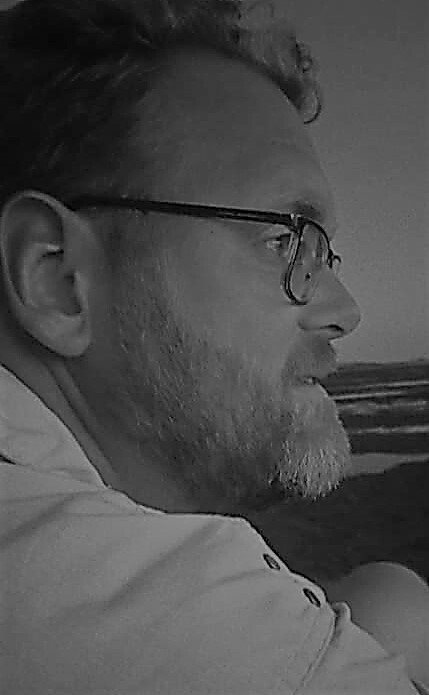 Wim Eijk. As I’ve reported earlier, and as other Dutch Catholic blogs and media are reporting, he is being attacked for the decisions he makes from left, right and center. While he keeps his feelings and private responses to himself, I am assured that this is not an easy time for him. After the request I sat down and wrote a one-page email of support to him. This morning I received a reply from the secretary of the diocese, thanking me for the email and assuring me that it will be sent on to the archbishop. Inge send him a card with similar sentiments yesterday afternoon. Reading the blog of the lawyer of one of the archbishop’s attackers once again made me angry. She manages to accuse him of making personal attacks. That is simply more evidence that she lives in a world of anger and frustration of her own making, which has little to do with the real world where ethical behaviour and civilised discussion should be the norm. Sadly, that is true for a fair number of other people too, bloggers and non-bloggers alike. So, in light of that and of the fact that supporters of the archbishop are simply less vocal than the attackers, I’d like to ask the Dutch readers of my blog to take a few minutes and write a short note or a card of support to Msgr. Eijk. It can be a simple assurance of you remembering him in prayer or appreciation for his work. Bishops are our shepherds, ordained and consecrated to lead us on the path of Holy Mother Church, especially when we’ve strayed, as so many in the Dutch Church province have done in the past. 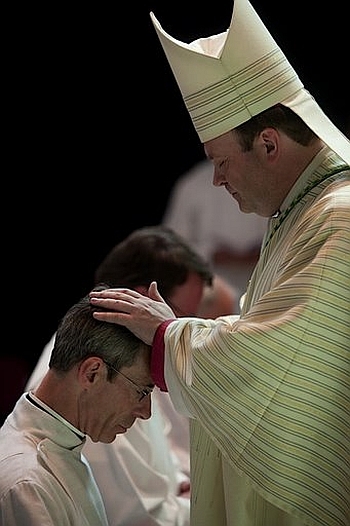 Shepherding people and the institutes that come with a diocese is not necessary great fun, despite its pastoral image. For the good of the flock, hard decisions are sometimes required, because the soft approach takes too much time or is just not effective. 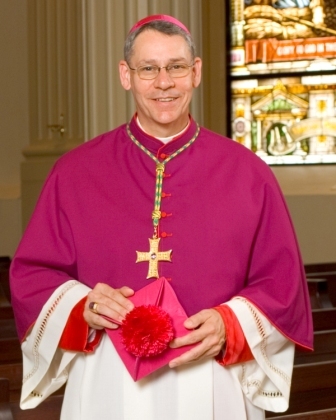 E-mails may be sent to the secretariat of the archdiocese, which can be found here. Yesterday at Mass at the cathedral, I noticed something different on the high altar. Mass took place at the St. Joseph altar to the side, so I was looking at the high altar from a bit of a distance and at an angle, but at first it simply seemed as if the veil in front of the tabernacle had somehow fallen down halfway. I looked again, and then noticed it was the middle of three altar cards! Altar cards are used in the extraordinary form of the Mass, and contain prayers which the priest prays at various points. Would this be an indication that we would be having at the very least an ordinary form Mass ad orientem in the cathedral? I asked Ad, the sacristan, about it afterwards, and he told me the altar cards were found in the safe in the sacristy and Fr. Wagenaar decided that they belonged on the altar instead. Of course they do, these are meant to be used, not to stored away. But sadly, placement on the altar was to be their only intended use. No ad orientem Masses, let alone extraordinary form, at the cathedral. Not yet at least, for I remain optimistic. I later heard the cards were back in the safe, since they blocked the tabernacle. In a way, that’s better, I think. If they are not going to be used, then why bring them out? My translations (all two of them now – but the plan is that their number will increase) are now more easily accessible via the tab marked ‘translations’. I figured that would be easier than searching through previous blog post.